The pour-over brewing method has become increasingly popular in recent years. You’ve probably seen these things in cafes all over by now – some of the more specialized cafes only offer pour-over coffee instead of the more commonly brewed coffee in drip makers, espresso machines, or steam-pots. When brewing pour over coffee, everything is carefully measured to the most exacting points (for best results, anyway). Even the water is weighed on a scientific scale. Then the coffee is brewed in beautiful glass carafes. It is an elegant method for brewing coffee. The good news is that these things have been around for ages – hundreds of years in fact – and you can brew coffee with this method at home. It is actually remarkably easy. As with most brewing methods other than an automatic drip, pour-over coffee requires some attention and care. However, I have to say that the results are most definitely worth the effort. What Is Pour Over Coffee? The system itself is remarkably simple. 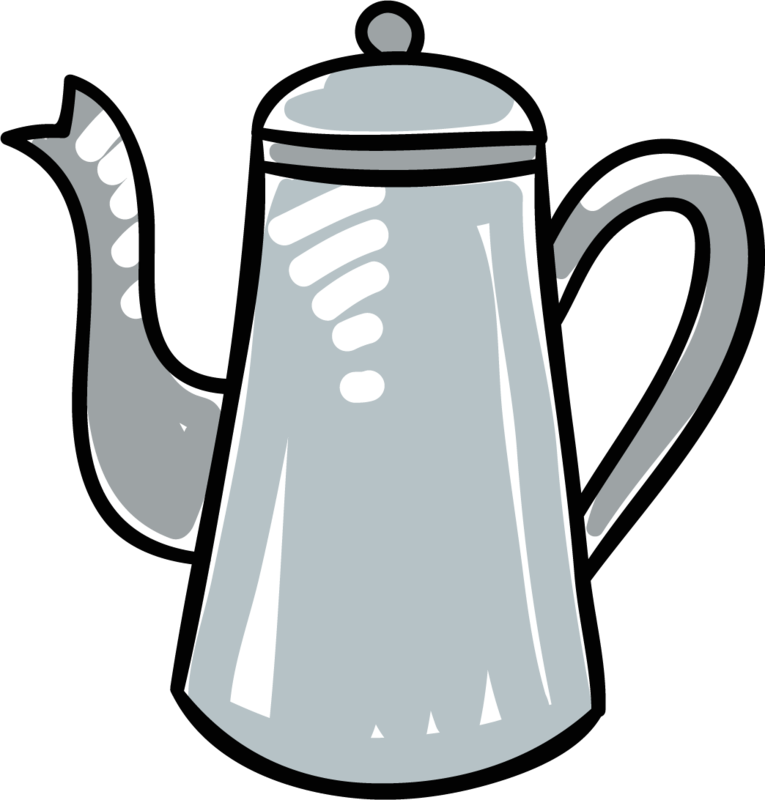 The pour-over uses a conical filter holder, or dripper, which is placed over the pot, carafe, or cup. You place your ground coffee in the filter, and pour hot water onto the coffee. It filters through into your pot. That is it. The real results with pour-over coffee lie in the manipulation of water temperature and timing. Since this method is so simple, the real tricks are in how you introduce the water to the ground coffee. All coffee brewing processes depend on three factors: wetting, dissolution, and diffusion. Each of these factors are dependent on the others and the ways in which various methods make use of these factors determine the unique quality of each brewing method. Wetting is exactly what it sounds like but this is a crucial step in brewing. When coffee beans are roasted, a certain amount of carbon dioxide gas (CO2) is trapped in the bean from the heat. Dark roasts have less CO2 than lighter roasts because the longer, hotter roasting literally cracks open the bean. As you brew in a pour-over, the wetting process is critical because the moment you hit the ground beans with hot water, the CO2 escapes. If you do not allow time for the CO2 to bubble out, the water will not properly penetrate the coffee and you lose valuable flavor and body. Simply put, this is the process which dissolves the desired elements of the coffee bean in the hot water. Coffee beans contain a complex mix of organic compounds that give it its flavor. Many of these are complex oils and acids. Brewing an ideal cup of coffee demands a delicate balance of heat and timing to properly dissolve these chemical components. This is the process whereby the solids from the coffee bean are pulled out of the ground coffee. As the water reacts with the solid part of the coffee, it works via osmosis to pull the chemical constituents of the coffee bean out and into what will become a final brew. What all of this comes down to is the diffusion process pulls the parts of the coffee bean which makes for flavor out of the solid coffee. This is the point at which the water releases the acids, oils, and other chemical components which make coffee taste good. You should use a timer for this process (You probably have one on your phone). Each phase is time sensitive. You need a fairly coarse grind, something on the order of coarse granulated sugar. Use a burr grinder since these offer greater control in selecting your grind size. Use enough ground coffee to fill the filter about half to two-thirds full. If you do not use enough coffee the water will pass right through it without actually brewing. Too much coffee and the filter cone will overflow. The ideal ratio is about 4.5 tablespoons of ground coffee per 1 quart of water. (Again, you can break these ratios down using your phone. Technology ain’t all bad). Place your filter in the cone and prepare your coffee beans. The optimum temperature for your water is 205˚ F. For darker roasts let the water cool to 195˚ F. Boil the water and let it come down to temperature. Pour enough water onto the ground coffee to allow it to bloom and swell (It will begin dripping through. That is normal). Let the bloom settle, about 30 seconds, and pour more water. Continue pouring the water in a gentle but continuous motion. Try to pour evenly across the bed of ground coffee. Allow the coffee to drip through, but be consistent in adding water. You will want your brew time to be 3-4 minutes for light roasts and 2-3 minutes for dark roasts. The goal is to pour even enough to carry the entire brewing process for these target brewing times. Once you have poured all the required water, allow the brew to continue dripping for an additional 25-30 seconds. This is your finished product. Remember that these steps are a general guide. As you make coffee with your pour-over at home, taste and make adjustments. This is really the fun part of these types of brewing methods. Yes, there is science, but some of it is art and the subtle alterations you learn while making coffee with a pour-over as truly the artistic end of the process. Once you have gone through the whole process a few times, you will undoubtedly want to adjust things to your taste. Pour-over brewing is genuinely rewarding, but it is not a simple process. You do need to alter grinds, water temperature, pouring rates, etc. Refine the grind: If your coffee comes out too strong or too weak for your taste, the first adjustment is the size of your grind. Too weak, finer grind. Too strong, larger grind. (This is another reason to use the burr grinder. Nothing else affords you this much control). The Bloom: The bloom is a critical step in pour-over brewing. The guide above is an approximation. You may find that staying close to a 1:1 water/coffee ratio for the bloom works best. You can adjust up to a 2:1 water/coffee ratio. Stirring the bloom: This is a tough call. Some of the pros say to stir, some say never stir. My feeling is to just experiment and see if you like the results from stirring the bloom. Pour in a spiral or circle: Believe it or not, this matters. By pouring in a spiral motion you release the flavors from the bean in a consistent flow. This also allows the coffee to filter more easily. Water Temperature: By and large, stick with the guides above for water temperature. You do not want to allow this to range too far since you will lose flavor in a dark roast if the water is too hot and you will not properly brew a light roast if the water is too cool. There are a few things you may want to consider buying if you are really serious about making pour-over coffee. This type of kettle allows greater control when you pour the water over the ground coffee. Rather than splashing it in with a standard kettle, the goose-neck pours slow and steady. Possibly the most critical thing to monitor is the ratio of ground coffee to water and the best way to do this is by using the same units for solids and liquids. With a digital scale you are able to pour the water correctly by watching the weight differences rather than by pre-measuring fluid ounces prior to pouring. Many of the pour-over cones fit directly onto a cup or a pot, but not all of them. You may need a metal stand to suspend the cone over your pot. You can find these online for as little as $10.00. If the whole process becomes a serious undertaking, there are stands that look like works of art in themselves. Fine wood construction and metal work make these things art objects. The world of fine coffee and coffee brewing has been a boon for those of us who take our coffee seriously. There are just so many brewing methods and styles that it has now become difficult keep up. Pour-over coffee is just one of many methods for making coffee at home that offers more than just the tired old drip machine. However, pour-over is not the kind of technique that you can simply press “on” and wait. This method requires some careful attention. The attention and care that pour-over coffee demands is really the fun of making coffee this way. We are able to control nearly all aspects of the brewing process, refining and perfecting our coffee over time. The real joy of pour-over brewing is the combination of science and art. French Press Vs Pour Over: Which Is Right For You? © 2019 · We are a participant in the Amazon Services LLC Associates Program, an affiliate advertising program designed to provide a means for us to earn fees by linking to Amazon.com and affiliated sites.